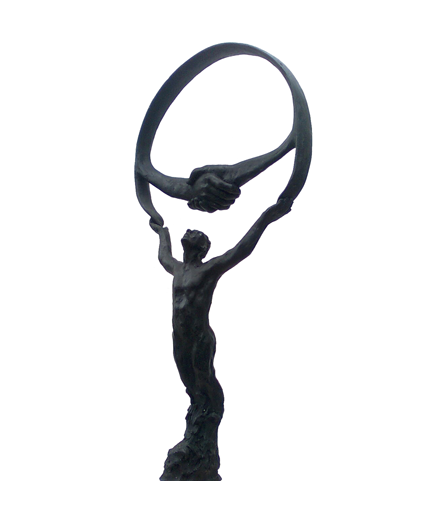 The Business for Peace Summit is held in Oslo in May each year. The Summit brings together business leaders, investors, leaders of NGOs, politicians, academics, and civil society from all over the world to discuss the practical actions needed in order to make substantial and sustainable business contributions to society. See the detailed Programme and Speaker List here! business to the goals of the Paris Agreement through accelerating climate action. Christiana Figueres, considered one of the key architects of the Paris Agreement, will deliver the Keynote address at the launch, with the Norwegian Minister of Climate and Environment, Ola Elvestuen, and others also joining. Former and new Business for Peace Honourees gather for a network meeting. lead. An introduction will be given by Nicolai Tangen of AKO Capital. featuring a dialogue on trust led by moderator Ingrid Helsingen Warner of Leidar Norway, with State Secretary Marianne Hagen giving the opening remarks. Moderated by journalist Mishal Husain, this session will look at the implications of the lack of trust, as well as how trust in business leaders and in business can be rebuilt. Also moderated by journalist Mishal Husain, this session will look at “pieces of the sustainable finance puzzle” – the different investment strategies, asset classes and tools available, how they are used in practice, and what can be done to scale. Moderated by Jeremy Oppenheim, of SYSTEMIQ, the focus of this session is how trust is a key enabler for transformative leadership and how it can enable climate solutions across energy sectors. Mr. Oppenheim will be joined by representatives from the business community, including the CEO of Yara, the CFO of Statoil, and more. Learn about the award statuette with a sculpture display by Bruce Naigles and enjoy our interactive music installation created by David Su and Magnus Ferguson. Be present for the breathtaking highlight of the Business for Peace Summit – the Award Ceremony, held in the Oslo City Hall, the venue of the Nobel Peace Prize. A formal ceremony honouring the 2018 Business for Peace Honourees, the event will include the State of the Union Address by Peace Activist and 2011 Nobel Peace Laureate, Leymah Gbowee. Moreover, Business for Peace is proud to announce that His Royal Highness Crown Prince Haakon will also be in attendance, in addition other esteemed guests. Artistic performances will occur throughout the ceremony program. A standing dinner reception will be held following the Award Ceremony. The theme for the 2018 Summit is Building Trust: Accelerating Climate Leadership. Trust is essential for both societies and businesses to flourish – trust in institutions, in leaders, and in each other as individuals. Across the world, trust is declining. How can business leaders help build trust with society and contribute to a sustainable future? Business leaders must step outside of their traditional roles and place sustainability and the opportunity to create value for society at the core of their strategies, including accelerating action on climate change. The world needs businessworthy leaders.